Hola, my name is Pedro Vázquez. 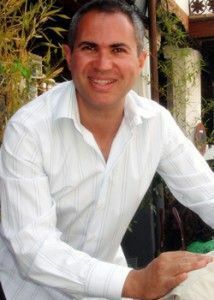 I am an enthusiastic Spanish tutor based in London -over 20 years- offering one to one lessons for students of all levels. I have extensive experience with all age groups. I also teach children individually or in small groups. I’m a native Spanish who grow up in Madrid…my accent is completely standard and my pronunciation is crystal clear! 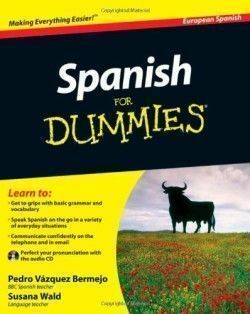 I am an Spanish language writer and, one of my latest titles include the standard Spanish European edition of Spanish for Dummies. Or just with a desire to learn Spanish for your own leisure and pleasure! My one-to-one Spanish classes will allow you to learn at a pace that suits you most. My tuitions enable you to arrange Spanish lessons around existing commitments with the flexibility of learning at a time to suit perfectly. I can teach students at home, place of work, a preferred venue or at my premises. Your Spanish tuitions can be hold mornings, afternoons or evenings -Monday to Saturday. Travelling usually is not a problem. If you have decided to start Spanish lessons, the next step is to decide how much work you want to put in. I would recommend at least one, preferably two hours per week. I am most happy to provide you with homework and supporting materials, according to your wishes and needs. You will always feel a confident and positive progress! "I was a complete beginner with Spanish, I looked around for a dedicated Spanish tutor. Pedro was a great choice - he has endless patience. One-to-one tuition, has enabled me to progress from a simple 'hola' to understanding speech and the written word whilst learning grammar and vocabulary. Now it does come so so naturally to me...I don't feel like a English native!...Now, I have the confidence to speak Spanish without hesitating, as my accent and pronunciation is good enough thanks to Pedro." "Pedro, I just want to tell you how grateful I am that I was able to find such a helpful and caring teacher as yourself. I had struggled with speaking Spanish on a comfortable level, both being able to speak and comprehend the language. Your classes have been very helpful in achieving this level. You are a very patient teacher and I wish you much success in helping others speak and learn Spanish. Thank you." "I look forward to having my lessons because it feels like I am talking with a good friend."